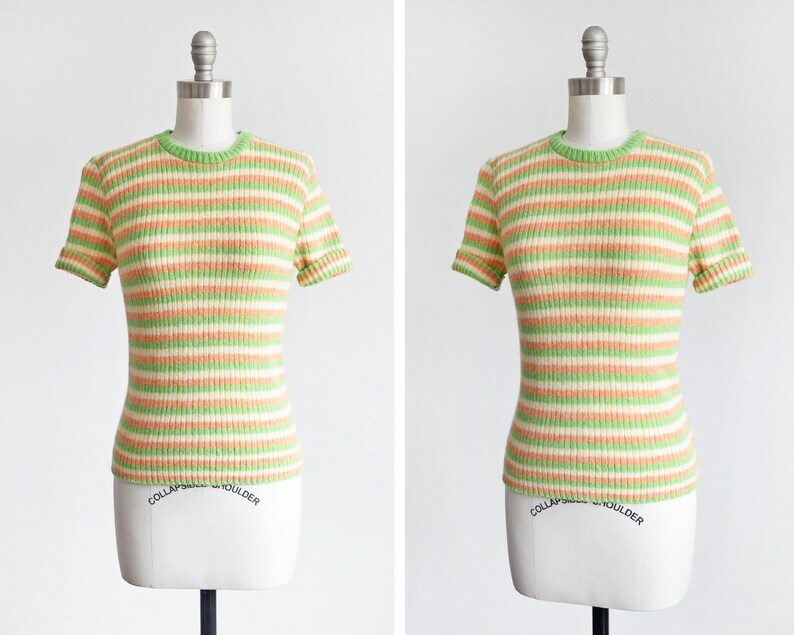 Cute vintage 60s mod striped sweater. Green, orange, and cream horizontal stripes. Ribbed wool knit. The material is a little fuzzy and has some stretch. Unlined.